“In 9/11 and in the 2008 financial crisis, the powers of the world worked together with a common approach. Co-operation today is proving much more difficult. This puts at risk the post-war economic and security order,” Rothschild warned in his investment trust's half-year results commentary. 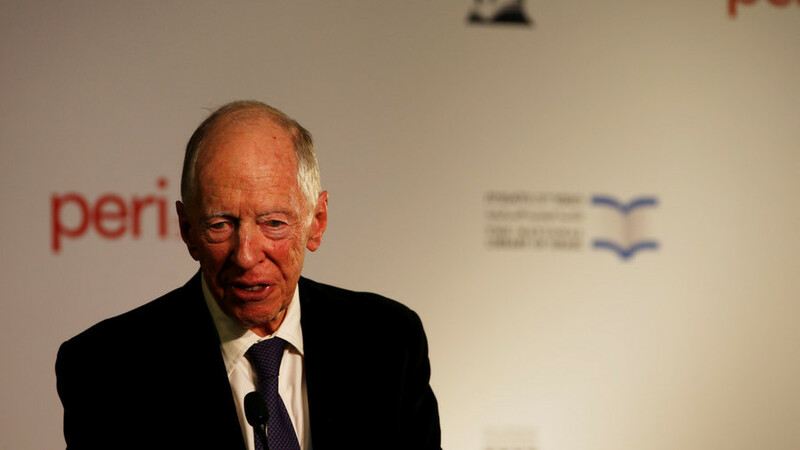 According to Rothschild, the lack of a co-ordinated, international response to global challenges was unlikely in an era of populist and protectionist leaders such as US president Donald Trump. Considering that Trump is a Rothschild owned asset. I will assert that “the lack of co-ordination” globally to “challenges” is highly co-ordinated. In the first paragraph he mentions ww2, us-China trade war, Euro-zone crisis, 9/11 and 2008 financial crisis, all of them their doing. Give that man a heart attack. Close the Federal Reserve. He is many things, all of them very bad but he sure as hell isn't no Lord! I heard that old man Rockefeller and zibrew brensiki keep blowing up his cell phone asking when is he coming down for dinner. Who is any sovreign nation supposed to trust in that sort of situation? Of course, if they trust Ratschild they lose slower and a bit less, the “leaders” may even have a chance of being re-elected, or at least retire with a pension. What is truth and honesty compared to that? Oy oy, BEWARE, when the jew pretends he is on the ropes, for it is THEN when he uses his dirtiest tricks. when he feigns himself strong, hes covering his weakness. and when he acts weak, its when hes strongest. So what do you think? Is it time to sell shares (If you own them)... Or is Rothschild fooling us, and we are on the verge of a hyperinflationary asset bubble, and the worst place to be in is in cash/bonds?